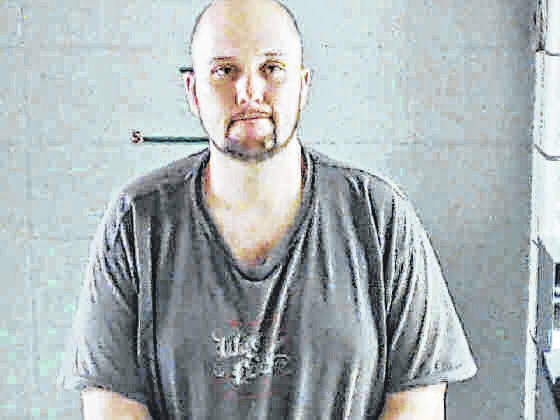 GALLIPOLIS — A man who survived a crash Wednesday which resulted in a motorcycle fatality was charged with second-degree felony aggravated vehicular homicide Thursday and is anticipated to appear in Gallipolis Municipal Court for arraignment at 10 a.m., Friday. The surviving man also had two previous encounters with law enforcement Tuesday (Aug. 14) regarding reported OVI crimes, the second incident occurring within 24 hours of the Wednesday (Aug. 15) motorcycle fatality and a reported third OVI incident. Baxter, 66, was a resident of Gallipolis. Preston was at the hospital before Rio officers conversed with the solicitor about an OVI charge, said Davies. In an attempt to follow procedure, Davies said Rio Grande police went to converse with the solicitor for legal counsel to make certain what was the best course of action to take next. The warrant, as previously illustrated in the complaint from Rio Grande police, was not issued until after the conversation with the solicitor. According to Ohio State Highway Patrol Commander Barry Call, troopers had another incident at a gas station on Jackson Pike with Preston at approximately 11:30 p.m., the same Tuesday evening. He was arrested for OVI, after going through a field sobriety test, taken back to the post and processed for the reported incident. Preston was released into the care of an individual who had the situation explained to him, that Preston was still impaired, and who signed a release form to take Preston into his custody and care. Preston was released around 1:30 a.m. in the morning, Wednesday. The fatality which resulted in Baxter’s death happened around 12:37 p.m., that afternoon. As of press time, further complaints regarding the second Tuesday incident are pending, said Call. “One of (law enforcement) processes is allowing an impaired driver to get a ride (when released),” said Call. OVI charges in Ohio are typically considered misdemeanors. An OVI charge becomes a felony when a suspect has three or more previous OVI convictions within a period of 10 years, according to 4511.19 of the Ohio Revised Code. According to Gallipolis Municipal Court online records, Preston had no previous OVI charges. Court reports say he had previous encounters with law enforcement over the last decade. As of press time, Preston was charged with first-degree misdemeanor OVI, a second-degree misdemeanor for possessing a syringe and second-degree felony aggravated vehicular homicide with more charges reportedly pending.